Looking for a good lobster roll? Yes? Well here is a very small, out of the way spot that’s worth a visit. 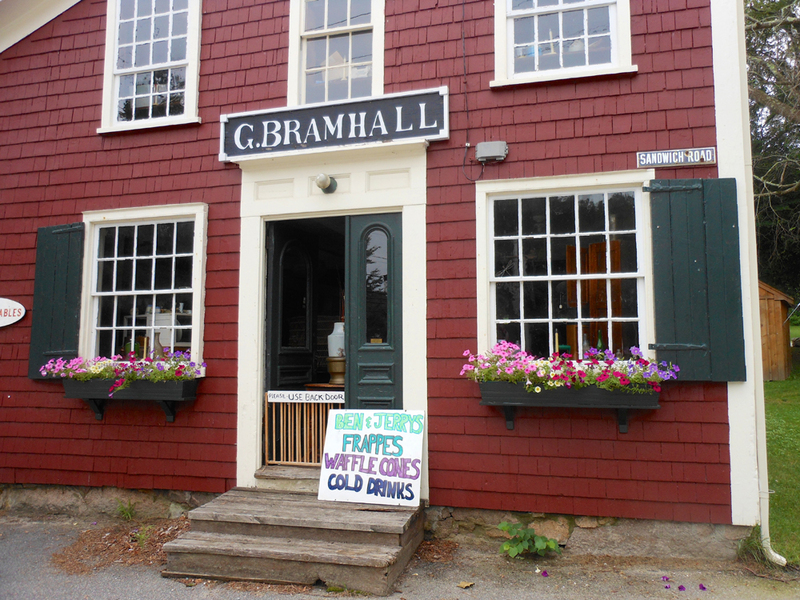 Bramhall’s Country Store in Plymouth, MA is off the beaten path, but still fairly easy to get to. The Store itself is a bit “rustic”. Its not built to look that way, it is rustic because it is old. When you look at the place from the outside you realize that it reflects a simpler time. A time when things were just as they seemed, without airs of ostentatiousness. 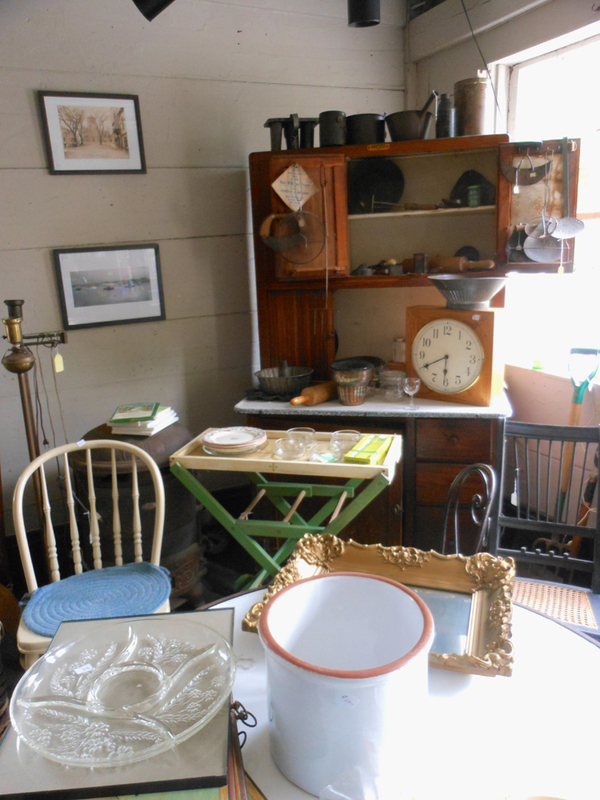 As the name implies, this place was once an old country store and there are still antiques available for sale inside. 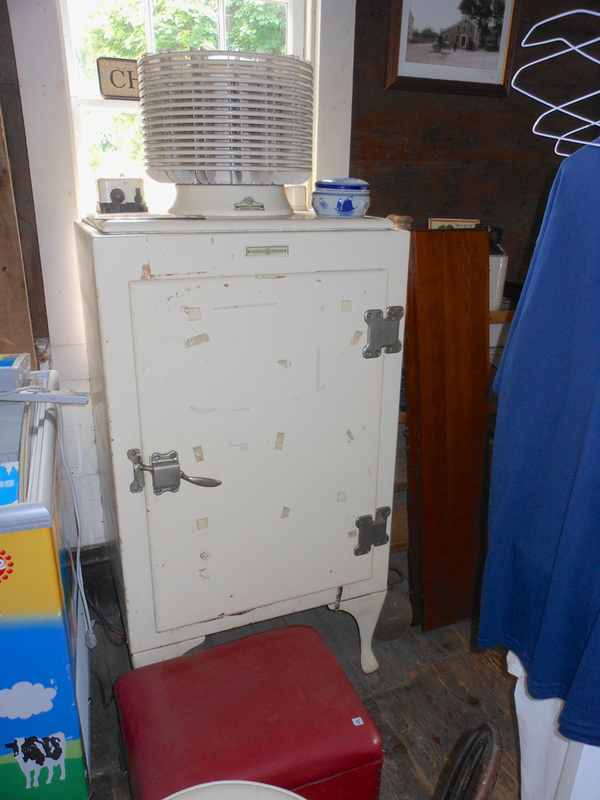 When you look around in there you get the impression that some of these “antiques” were actually originally used in the store at some point. Ok, you say, so its old but that doesn’t qualify it for a FoodieTales review. Absolutely correct! 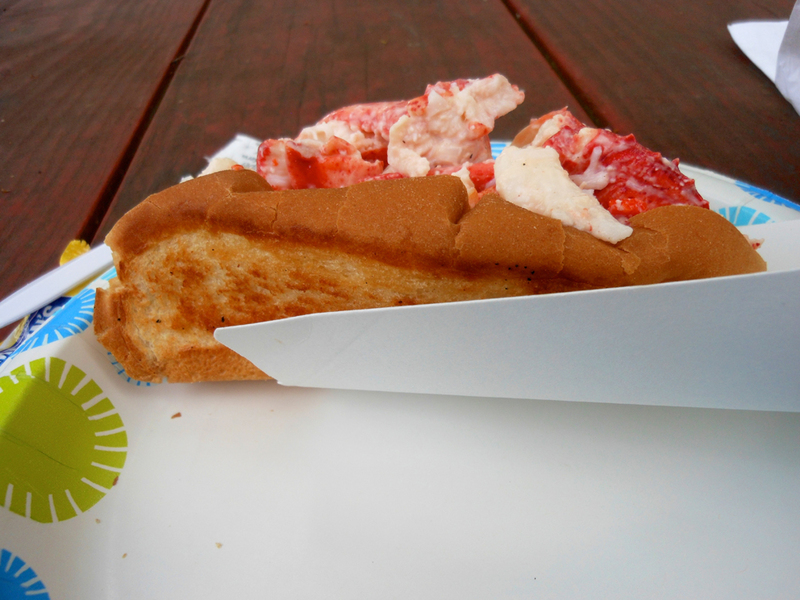 What qualifies it for a FoodieTales Review is one of the best lobster rolls you’ve ever had. 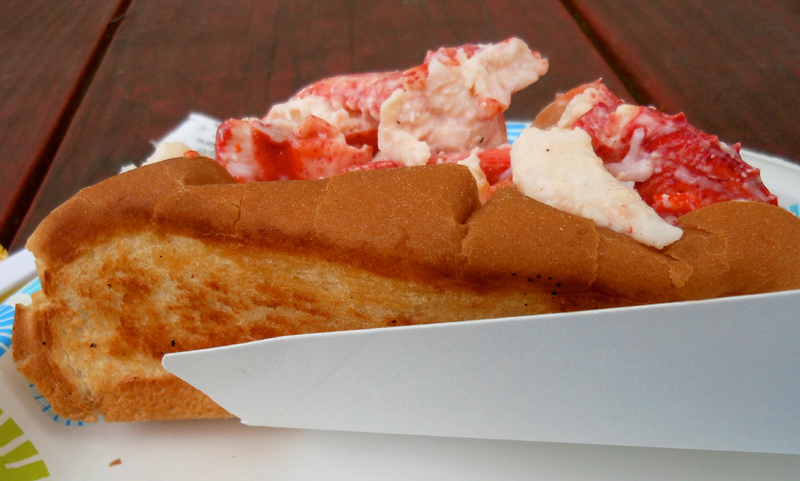 A lobster roll that is served in a butter grilled, New England style hotdog roll. A lobster roll that doesn’t include fillers, bread crumbs, celery or anything but just the tiniest amount of mayonnaise to help hold it together. In short, a lobster roll that is just plain yummy. As noted above, there is nothing fancy about this place. 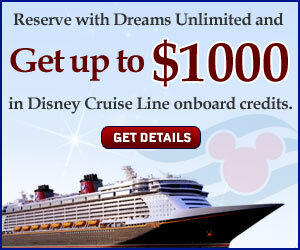 In fact, when you first look at it you may have serious doubts that you are at the right place. 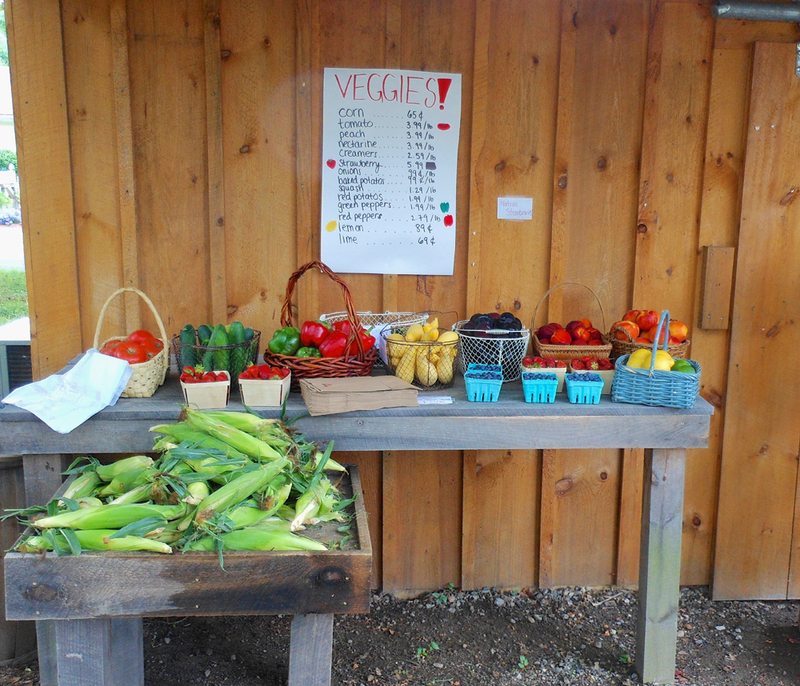 However, a closer look will reveal that you can buy fresh, locally grown vegetables at a very small stand. 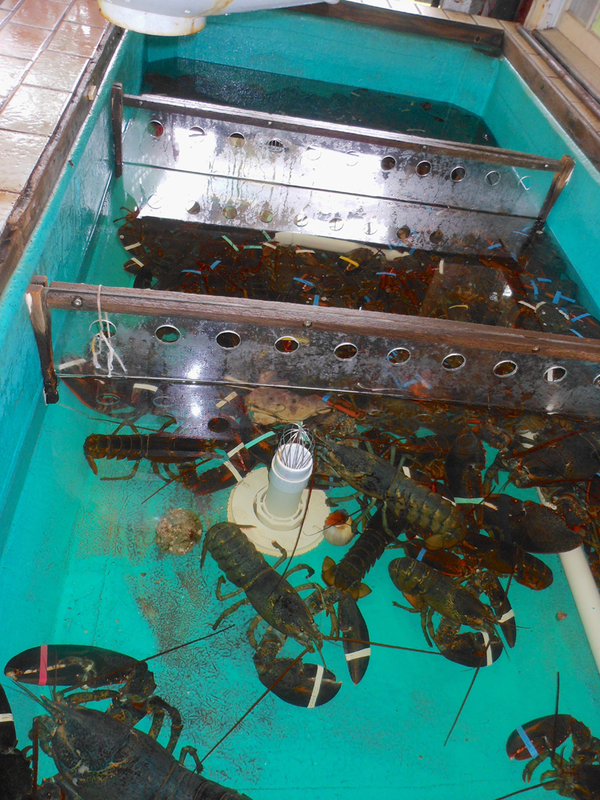 You can also buy freshly caught live lobster, which are on display in the tank outside. Prices certainly seem right too. Oh yes, we are here to review their lobster roll. Lets get it! 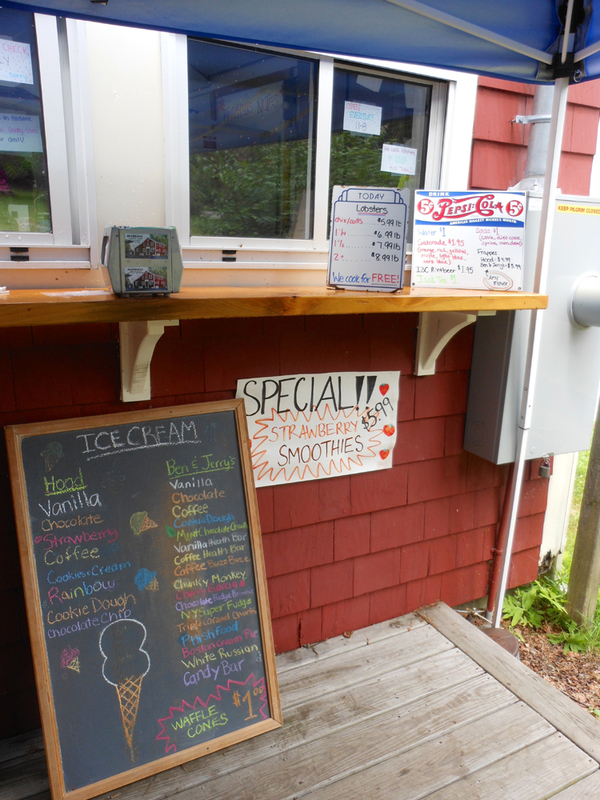 You order your roll at the small outside window under the cover of a temporary canopy. Again, nothing fancy. As you look beyond the order taker and into the food preparation area you realize that this is no mass production operation. Each lobster roll is built to order. The New England style hotdog roll is buttered and toasted before being filled with lobster meat that as been only slightly moistened with mayonnaise. So lightly moistened that I couldn’t even detect a mayonnaise taste, which suites me just fine. Some people apparently expect there to be more mayonnaise on a lobster roll. To satisfy them, Bramhalls includes a separate package of mayonnaise on the plate when they give you your roll. 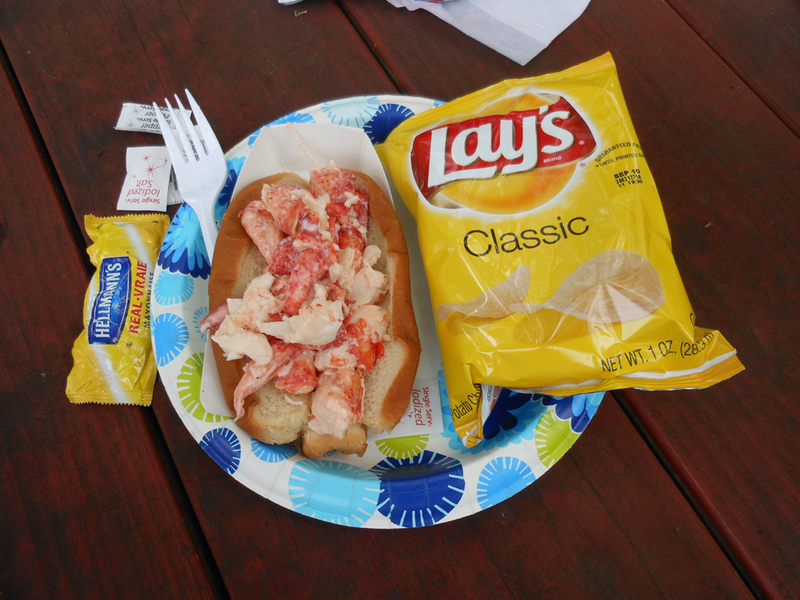 When your lobster roll is ready its brought to you on a paper plate with a bag of chips, salt & pepper packets and the aforementioned mayonnaise packet. You get your own paper napkins from the dispenser. Seating is meager, with just three octagonal picnic tables outside. That’s it. Again very simple. My wife Valerie and I really, really enjoyed this lobster roll. 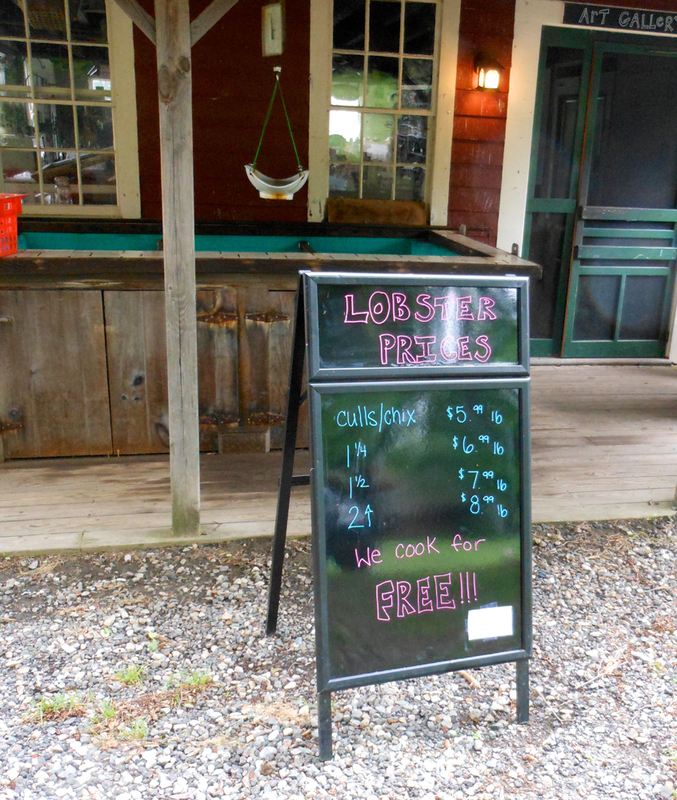 The lobster was very flavorful, which is a good indication of how freshly caught the lobsters were. The toasted roll is the traditional New England presentation of this regional specialty. 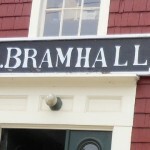 Bramhalls lobster roll (with chips) costs $12.95. The price of lobster is volatile so prices may change to reflect the market. We will definitely be stopping there again. Maybe we’ll even buy some lobster to cook ourselves. 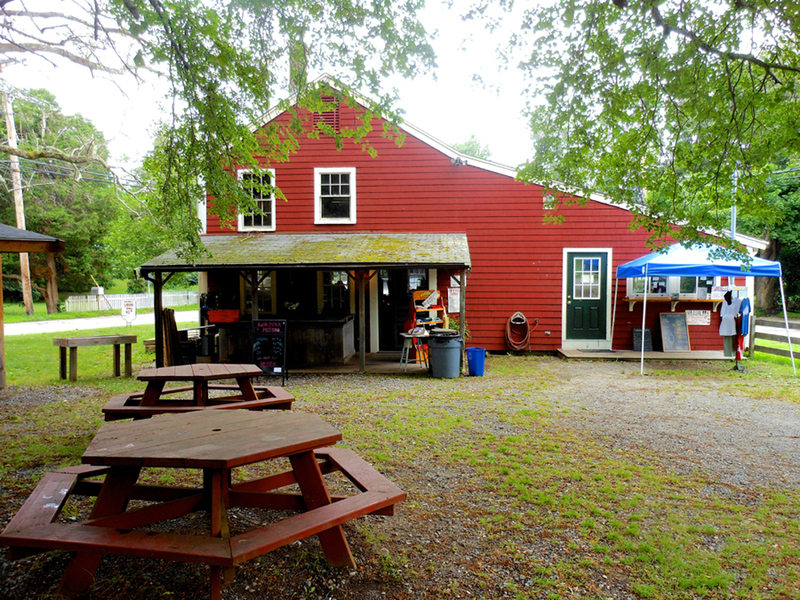 This entry was posted in Eat Like a Local, Foodie Tales and tagged best lobster toll in Massachusetts, Bramhall’s Country Store, Bramhall’s Country Store Plymouth, Bramhall’s Country Store Plymouth Massachusetts, freshly caught live lobster, Lobster, lobster roll, Massachusetts, Plymouth, Plymouth Massachusetts by Jeff Alves. Bookmark the permalink.